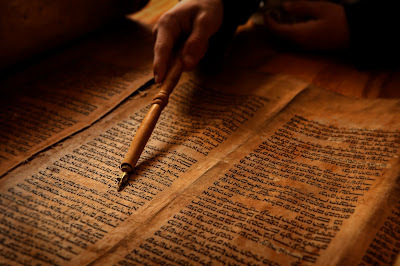 While many firsts marked Stephen's brief ministry he followed the same course as the apostles: he preached Christ using the Old Testament Scriptures. Stephen demonstrated a comprehensive understanding of the flow of the Old Testament. His message (Acts 7:2-53) could be preached in under seven minutes. In this brief message Stephen covered the history of Israel from Abraham to Solomon. That's roughly a thousand years. Stephen explicitly quotes sixteen Old Testament passages (he quotes one passage twice) by my count. These passages are from Genesis, Exodus, Deuteronomy, Amos, and Isaiah. Stephen also paraphrased or alludes to history recorded in 2 Samuel and 1 Kings (and the parallels in Chronicles). That's a lot of content in under seven minutes. Stephen pulls no punches in applying these truths directly to his hearers. He says that God is at work in their midst. He also says that they are doing what their fathers have always done: resist God's plan. They understood exactly what Stephen was saying. By putting him to death they continued in the line of killing those who announced news of the Righteous One. They confirmed that Stephen's message was true by their actions. Their fathers killed those who proclaimed He is coming. The present group killed Stephen for announcing that the Righteous One had come and been nailed to a cross by their own doing. 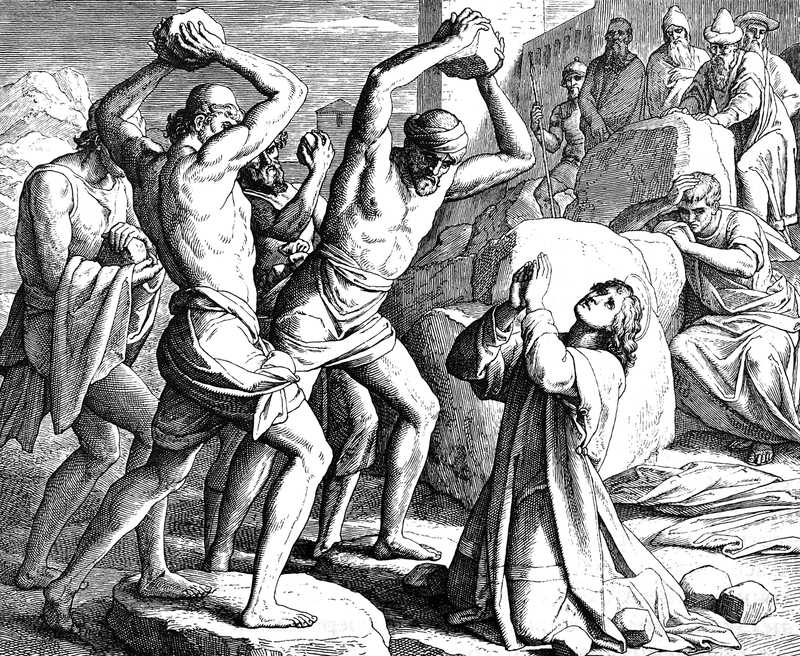 Scripture records that Saul of Tarsus was present at the stoning of Stephen (Acts 8:1). Saul is converted in Acts 9. He ministers as the apostle Paul for the rest of his life. The ministry of Stephen no doubt had an impact on Paul. Paul wrote to the believers in Corinth (1 Cor. 10:11) that the Old Testament narratives are recorded for the benefit of present-day people. He heard Stephen preach a message of this type when he was still a non-believer. Many treat Old Testament narrative as quaint stories with a moral. But they aren't fables. They are an inspired record of God's faithfulness in making a people for Himself. They are the record of God's faithful dealings with often unfaithful people. All along the way God has been working toward fulfilling His promises. He has made promises to Adam, to Noah, to Abraham, Isaac, and Jacob. He made promises to Moses, Samuel, David, and Solomon. Jesus is the fulfillment of these promises. There are more promises yet to be fulfilled. They will no doubt come to pass just as God has promised. God's promised blessing and His warning of judgment for those who resist His plan of salvation are both sure to happen. Just as He has said. 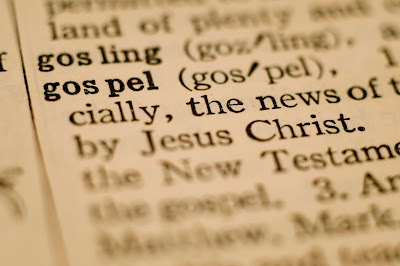 The nature of the gospel includes a call to a decision. To repent and trust in Christ. Or to continue in rebellion against Him. When this distinction is put clearly people will respond with brokenness and humility. Or they will respond with antagonism and hostility. This has been true since the beginning. It will be true until the end. When we faithfully explain Christ we should expect one of these two responses. 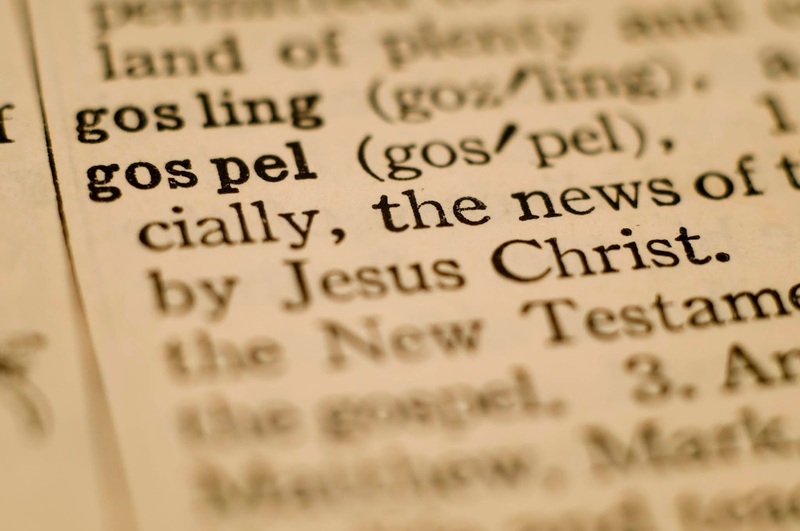 Apathy usually means that we have failed to make our explanation of who Jesus is clear enough to our hearers. Stephen loved his hearers. He prayed for their forgiveness as they were killing him in their rage. He loved them enough to tell them the truth that they were in rebellion against God. Most of them considered themselves to be "religious people." They did not respond kindly to Stephen's bold proclamation. Do we love people enough to tell them that being religious isn't enough? They must be found in Christ or they will perish under God's righteous wrath forever. Moralism is deadly. Jesus saves.